Symbol of Sassari and a unique monument in Sardinia, included in the 'Fountains of Italy' series of stamps, it contains the metaphor of time that flows like water, symbolized by twelve mouths, the months, and four statues, the seasons. Outside the ancient city walls, near the bridge of the same name, the fountain of Rosello was built at the beginning of the 17th century, in late-Renaissance style, giving a name to the district that arose around 1930, where the Masedu museum and the basilica of Sacro Cuore are located. The sculptural complex is made up of two overlapping rectangular blocks that are linear, simple and white and dark grey colours, enhancing the lions' heads from which water flows. The statues representing the seasons rest on the mouths of dolphins: a girl with a garland of flowers (spring), Hercules with a crown of grapes and a bearskin (autumn), an old man resting (winter), a woman with ears of corn (summer), the only original, kept in Palazzo Ducale. The other three were destroyed during anti-feudal uprisings (1795) and were recreated thirty years later. In the first order, with four corners, you will notice crenellated turrets symbolizing the city and others with the coats of arms of the Crown of Aragon. 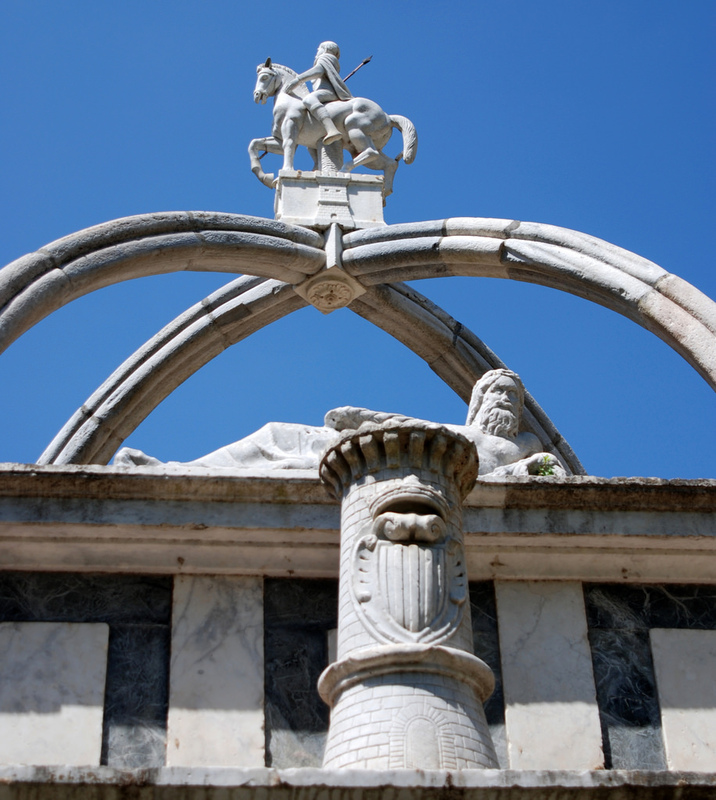 At the top, there are two crossed arches supporting the equestrian statue of San Gavino, a martyr from Sassari and protector of the town. 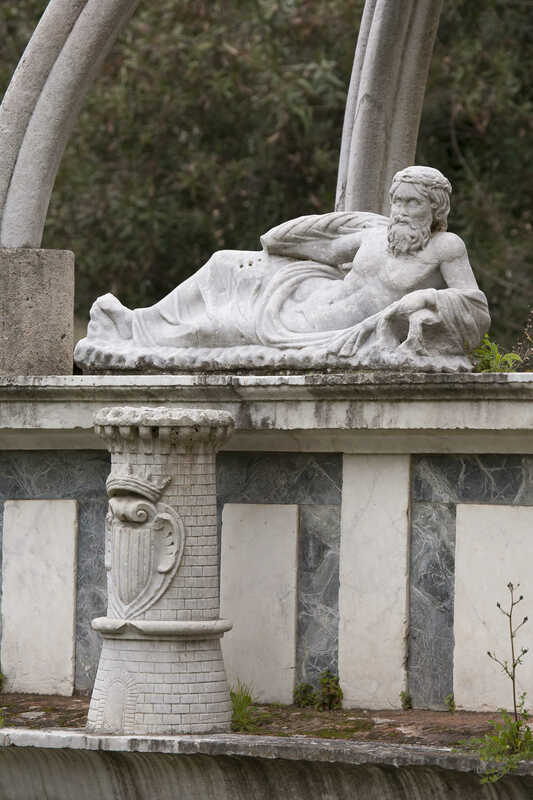 To the south, you will see a river divinity, lying down, emblem of the Mannerism of the monument. In the lower block, you can read the dedicatory inscription with the date of the works (1605-6), created under Phillip III, which led to its current appearance. However, its origins are much more ancient. The earliest evidence of its existence dates back to 1295. Over the centuries, the fountain underwent various interventions and was always fundamental for providing water. 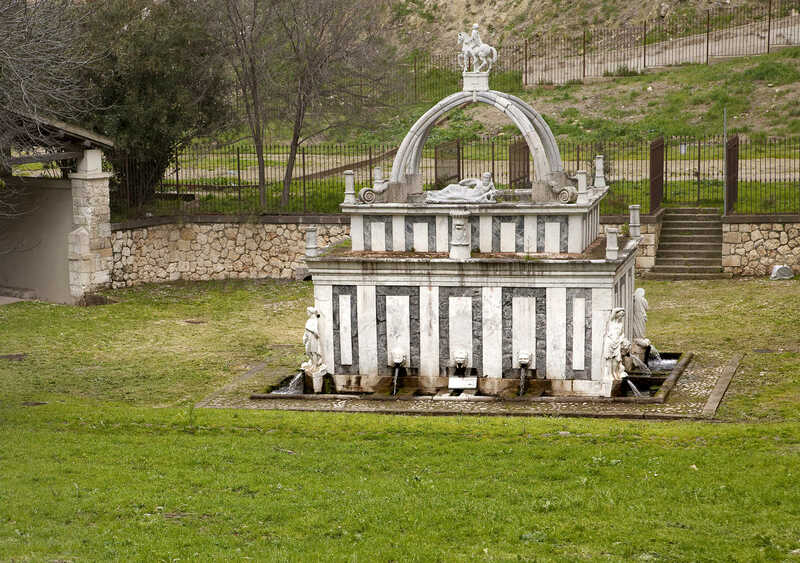 Indeed, from Roman times, the fountain of Gurusellu supplied water to the aqueduct of Turris Libisonis (now Porto Torres). Nearly two thousand years later, in the 19th century, a multitude of water carriers transported water from Rosello to the houses by loading the barrels onto hundreds of donkeys. In the medieval old town centre of Sassari you will find its others symbolic monuments: religious ones, like the cathedral of San Nicholas di Bari and the churches of Santa Maria di Betlem and Sant'Apollinare, as well as civic ones, like Piazza d'Italia, and cultural ones, among which the Sanna museum. A Sassari, in via Giovanni Pascoli. Da Sassari, procedi in direzione nordovest da piazza Santa Maria verso via delle Conce. Svolta leggermente a destra per rimanere su piazza Santa Maria. Continua su corso Francesco Vico e continua su via Aurelio Saffi. Svolta a destra e prendi corso Trinità. Alla rotonda prendi la terza uscita e prendi corso Giovanni Pascoli/Ponte di Rosello.